ALL CLASSES begin promptly at 6:00pm and run approx. 2 hrs (includes group meal). 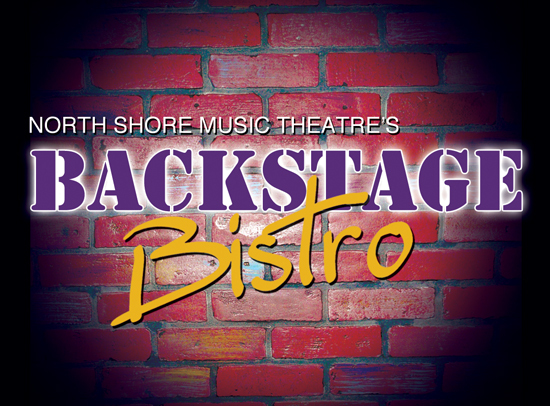 North Shore Music Theatre's Backstage Bistro is excited to announce our inaugural 2019 Cooking Series with our friends at Relish Catering & Events. Classes offer students the opportunity to develop their own culinary toolkit for preparing and hosting all kinds of events from family gatherings to more formal dinner parties. Join our chefs and event professionals as they guide you through industry-secret tips and tricks for inspiration and celebration in the kitchen. Unless otherwise noted, all classes are hands-on and will conclude with a group meal. Wine, spirits, and beer are available for purchase. REGISTRATION REQUIRED, NO DROP-INS PLEASE. No refunds will be made for cancellations within 24 hours of class—thank you for understanding. If you took the first Weeknight Meals class, this class will have 5 NEW meals for you to whip up healthy and fast meals with simple ingredients. Newcomers welcome! Chef Maria will introduce you to the nutritional benefits of 'raw cooking' through demonstrations and discussion. Take control of your health by learning techniques to adopt new healthy habits into your everyday life. Juice or Smoothies? What's the difference, and how do I prepare them? What's all this talk about Bone Broth? Raw vegetable pasta, overnight steel cut oats, healthy kitchen spices, and homemade almond milk. These are strategies and tools you can adapt to your own kitchen and family. Samples and recipes provided. Learn delicious dishes using local and seasonal spring ingredients to say goodbye to winter and hello to warmer weather. Featured items: asparagus, ramp pesto and peas! Wow your family and friends with all of the culinary components for a weekend or holiday brunch. Sweet and savory dishes and tips for The Best Bloody Mary Bar! Kim has worked with Relish Catering & Events as a chef and event manager for 8 years. She also works as a Special Events Professional creating large-scale fundraising events from concept to execution—she loves a theme party! Maria Lappin (Total Health in North Beverly) focuses on the importance of high-quality foods and phytonutrient diversity to move individuals toward their highest expression of health. Maria will teach you how to begin getting the 8–10 servings of fruits and vegetables per day as well as other techniques necessary to reach your optimal health. Nutrition is at the core of Maria's classes with aim to help with prevention, weight management, and reversing diet and lifestyle related diseases. All suggestions are easy, healthy and will help get you on track for a lifetime of wellness. Before joining the Relish family, Robby honed his culinary skills and palate by traveling the country. His BBQ journey began in San Francisco where he owned/operated 3 mobile BBQ pits. Owner of Relish Catering & Events, Kelli has spent the past 20+ years crafting memorable events for her clients. She’s designed/taught dozens of classes and culinary camps, and has hosted international culinary tours. Formerly Kelli Petri Catering, Relish Catering & Events is a fresh new take on what Kelli has always delivered: Delicious food, beautifully presented with style and grace. She wants each event to have impact and leave a lasting impression believing that each one tells a story that must captivate, inspire and motivate people to share the experience with others. She is a graduate of the Cambridge School of Culinary Arts.